Annika Dahlsten & Markku Laakso present an exhibition inspired by Laakso’s family history. In 1930, his great grandparents, Simoni and Ella-Stiina Laakso, travelled from their village in Finnish Lapland to Germany, in order to be exhibited as a Sámi in various zoos. The job of the Sámi caravan was to show their own everyday life, including catching reindeers with a lasso. 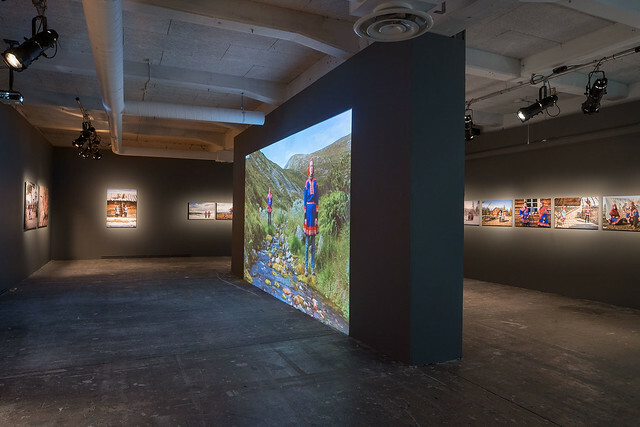 Through animation, photographs and video works, the artists documented their own journey from Lapland to southern Africa, via Germany, in an attempt to relive the zoo life and the grandparents’ experience of that period.